Hi folks. I have had great success grafting "wild" bradford / Callery pear trees. Over the last 3 years I have grafted probably about 30 trees and I think there are about 25 or so that have taken off and done great. This is also the first year that I have done some gorilla grafting. I have been using a Bartlett and one other thick skinned unknown variety. I would like to branch out a bit and get some more varieties going. I am particularly interested in getting my hands on some perry (cider) scion wood. I have around 30 more trees on my property that need to be grafted and literally thousands that are growing in fence rows and other unmaintained areas. My first graft put on it's first pear this year so I want to put some more work into this. I would like to ramp up my grafting for the spring of 2018. Do any of you have any interesting varieties that you would be interested in sending me? I have never bought scion wood, can someone make some recommendations on where and how to do that? What do you do to minimize inputs in your annual garden? I should have read this more clearly before I posted. I saw that you are (quite understandably) trying to reduce your time spent weeding. I have two thoughts for you. The second option is to use a scuffle hoe like the one in the picture. I used to hate weeding (which is why I concocted the tests-as-weed-barrier idea in the first place), but using one of these scuffle hoes is great. I don't want to sound like an advertisement but they make weeding a piece of cake. The hoe is absolutely razor sharp and glides just under the surface of the soil and severs the foliage from the root. Done early enough and repeated occasionally, the weeds just give up. Using this hoe gives me no back pain (and I have a bad back from previous injury) and is actually fun. When I get out in the spring, just as weeds are starting to grow (about 1 inch tall) I go out, slice through the roots and decapitate the little weeds. After a couple of repeats, the weeds just give up. This year, my beds are all nice and clean. Best of all, you can certainly use both options. Paper & woodchip the bulk of your garden (you don't need a deep layer here, just enough woodchips to hold everything in place) and then slice through weeds along the edge and you are done! After I am done with the paper and woodchips I like to incorporate them into the soil and this is an extra bonus for me as my dense clay needs as much carbon as I can get into it. I have been laying down the paper & woodchips (or leaves, or anything organic) for years and it really helps to keep my garden soil from drying out in the summer. The little bit of hoeing is nothing like the weeding I once did. 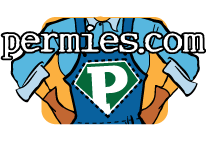 If you like this idea, I can give you the URL for the hoe, but I am not certain what the Permies.com policy is on publicizing products. I wish you all the best and hope that I can offer you something of value. Eric that is great that you can put all that paper to use. This year we have been buying rolls of the brown construction paper from lowes. It is not super cheap but I value my time and laying this is fast and if it keep the weeds at bay for a year or 2 it will be worth it. I have seen those hoes before. I need to see if I can find/make one of those. Thanks for the reminder. Overall, my biggest wins have come from planting more of the seeds I want (like clover), re-purposing leaves & pine-needles, and to just kind of stop caring about weeds so much. I also use transplants from an indoor (garage) seed starting setup, which I personally believe reduces effort over the long term pretty dramatically. No cold-frame/cover/etc games with protecting young seedlings from frost, central watering during the plant's most tender time, and ease of using gratuitous amounts of mulch. I've also stopped labeling my seedlings (gasp) and I've found that's reduced a ton of effort/tedium on my part. I don't grow that many varieties of the same plant, so it's pretty obvious what's growing by the time it's a few inches high. Not worrying about weeds is not an option here. Either you take care of it or you loose the garden. Now some of our most aggressive weeds are actually edibles. But they are generally only tasty when they are small in the early spring. We get lambs quarter, black heart and poke. All of them will get head high buy July if nothing is done. They spread and spread. There are at least 3 vines that also will completely shade out a climbing tomato, morning glory passion fruit and one other that I have not identified. The worst offenders are johnson grass and Bermuda grass. I also add leaves to my garden when I can get them. They tend to blow away if not topped with mulch though. I know that we have had discussion like this before but I Would like to get some fresh ideas out there. My goal is to spend about 2 hours of maintenance per week in the garden. This does not include harvest/preservation time. For the past 5 years or so I have relied almost entirely on bringing in wood chips. I have a deal with a guy on craigslist he has a tree trimming business. When he is close to my work he will let me know and he will chip into my truck on my lunch break. this works pretty well but it is not usually enough to keep the weeds at pay in the garden. Fortunately the city has an organic recycle center that sells rough mulch for $7 a yard. They often have a deal where it will be 2 yards for $7. I have hauled about 10 yards to the garden this spring. I may need a couple more. I think I have about $50 in that so far. When the "weeds" are really bad I will use brown construction paper before I put down the mulch. I will have about $40 in that. I don't usually have to do this much every year but things were getting behind. Oh and this garden is somewhere around 1500 sqft. What are you guys doing to save time and money? We are in Nixa. I have a few videos of some of our projects on youtube. Suzy Krone wrote: These trees came about as a result of the USDA trying to create a fire blight resistant pear tree. Interesting, my property is infested with them. They grow real aggressive here. 10 per square foot. They are impossible to get rid of. They grow a 5" cork screw tap root before it makes a sprout so when you try to pull it out you just top it and it comes back. It sprouts from stumps and root systems too. If I could do grafting, that would atlas give me an option. They are hard to deal with, pruning can be painful and dangerous, and if you don't deal with the limbs right away, you basically have sharp thorny limbs you could step on (and I have) lying on the ground. Oh god do I hate them. It's amazing how readily they sprout. They sprout in my yard and garden and my fields of course. Atleast privet can be pulled up relatively easily. I'm guessing bradford will be seen as more of an issue pretty soon, since it can displace entire acres and become 99% bradfords with a few native plants struggling inside to out grow them. My own observations on my land is that Sweetgum, pine, and persimmon seem to grow fast enough to out pace them, so if you can keep them down or in check and let the native trees grow, they should hopefully establish a forrest where the bradford can't take over. Like in the older forests on my land, no bradford or invasive plants. It's only in disturbed cleared areas does this invasive plant stuff become an issue. I am not sure where you are at but we have the same issue with them in the ozarks. I grafted a few more this spring and I hope to have the rest done next spring. Now that I have my own source of scion wood I think I will take up some gorilla grafting. Is anyone in of near Nixa Mo? Rebuilding a Pond and Fixing a swale. I bought it at the hardware store. Thanks for the update. I will keep an eye on this thread. I hope to see some flowering pictures in a few months.